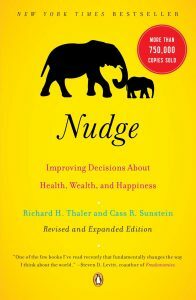 You would be hard pressed to come across a reading list on behavioral economics that doesn’t mention Nudge: Improving Decisions About Health, Wealth, and Happiness by Richard Thaler and Cass Sunstein. It is a fascinating look at how we can create environments or ‘choice architecture’ to help people make better decisions. But one of the reasons it’s been so influential is because it helps us understand why people sometimes make bad decisions in the first place. If we really want to understand how we can nudge people into making better choices, it’s important to understand why they often make such poor ones. Humans have a tendency to put too much emphasis on one piece of information when making decisions. When we overweigh one piece of information and make assumptions based on it, we call that an anchor. Say I borrow a 400-page-book from a friend and I think to myself, the last book I read was about 300 pages and I read it in 5 days so I’ll let my friend know I’ll have her book back to her in 7 days. Problem is, I’ve only compared one factor related to me reading books and now I’ve made a decision without taking into account many other factors which could affect the outcome. For example, is the new book a topic I will digest at the same rate? Will I have the same time over those 7 days for reading? I have looked at number of pages but are the number of words per page similar? This process is called ‘anchoring and adjustment.’ You start with some anchor, the number you know, and adjust in the direction you think is appropriate. So far, so good. The bias occurs because the adjustments are typically insufficient. This is the tendency of our mind to overweigh information that is recent and readily available. What did you think about the last time you read about a plane crash? Did you start thinking about you being in a plane crash? Imagine how much it would weigh on your mind if you were set to fly the next day. We assess the likelihood of risks by asking how readily examples come to mind. If people can easily think of relevant examples, they are far more likely to be frightened and concerned than if they cannot. Accessibility and salience are closely related to availability, and they are important as well. If you have personally experienced a serious earthquake, you’re more likely to believe that an earthquake is likely than if you read about it in a weekly magazine. Thus, vivid and easily imagined causes of death (for example, tornadoes) often receive inflated estimates of probability, and less-vivid causes (for example, asthma attacks) receive low estimates, even if they occur with a far greater frequency (here, by a factor of twenty). Timing counts too: more recent events have a greater impact on our behavior, and on our fears, than earlier ones. Use of the representativeness heuristic can cause serious misperceptions of patterns in everyday life. When events are determined by chance, such as a sequence of coin tosses, people expect the resulting string of heads and tails to be representative of what they think of as random. 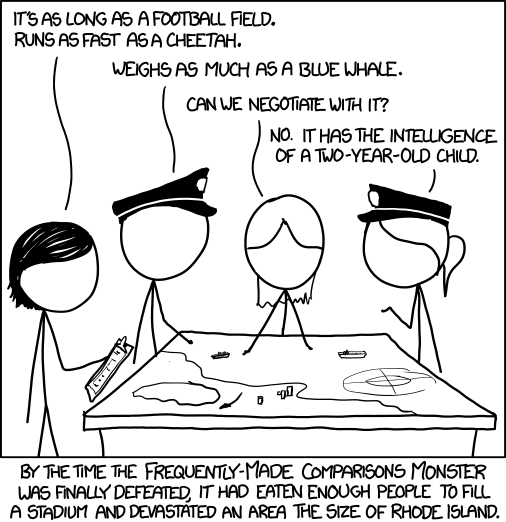 Unfortunately, people do not have accurate perceptions of what random sequences look like. When they see the outcomes of random processes, they often detect patterns that they think have great meaning but in fact are just due to chance. It would seem as though we have issues with randomness. Our brains automatically want to see patterns when none may exist. Try a coin toss experiment on yourself. Simply flip a coin and keep track if it’s heads or tails. At some point you will hit ‘a streak’ of either heads or tails and you will notice that you experience a sort of cognitive dissonance; you know that ‘a streak’ at some point is statistically probable but you can’t help but thinking the next toss has to break the streak because for some reason in your head it’s not right. That unwillingness to accept randomness, our need for a pattern, often clouds our judgement when making decisions. We have touched upon optimism bias in the past. Optimism truly is a double-edged sword. On one hand it is extremely important to be able to look past a bad moment and tell yourself that it will get better. Optimism is one of the great drivers of human progress. On the other hand, if you never take those rose-coloured glasses off, you will make mistakes and take risks that could have been avoided. When assessing the possible negative outcomes associated with risky behaviour we often think ‘it won’t happen to me.’ This is a brain trick: We are often insensitive to the base rate. Unrealistic optimism is a pervasive feature of human life; it characterizes most people in most social categories. When they overestimate their personal immunity from harm, people may fail to take sensible preventive steps. If people are running risks because of unrealistic optimism, they might be able to benefit from a nudge. When they have to give something up, they are hurt more than they are pleased if they acquire the very same thing. We are familiar with loss aversion in the context described above but Thaler and Sunstein take the concept a step further and explain how it plays a role in ‘default choices.’ Loss aversion can make us so fearful of making the wrong decision that we don’t make any decision. This explains why so many people settle for default options. The combination of loss aversion with mindless choosing implies that if an option is designated as the ‘default,’ it will attract a large market share. Default options thus act as powerful nudges. In many contexts defaults have some extra nudging power because consumers may feel, rightly or wrongly, that default options come with an implicit endorsement from the default setter, be it the employer, government, or TV scheduler. Of course, this is not the only reason default options are so popular. “Anchoring,” which we mentioned above, plays a role here. Our mind anchors immediately to the default option, especially in unfamiliar territory for us. Our prefered definition requires recognizing that people’s state of arousal varies over time. To simplify things we will consider just the two endpoints: hot and cold. When Sally is very hungry and appetizing aromas are emanating from the kitchen, we can say she is in a hot state. When Sally is thinking abstractly on Tuesday about the right number of cashews she should consume before dinner on Saturday, she is in a cold state. We will call something ‘tempting’ if we consume more of it when hot than when cold. None of this means that decisions made in a cold state are always better. For example, sometimes we have to be in a hot state to overcome our fears about trying new things. Sometimes dessert really is delicious, and we do best to go for it. Sometimes it is best to fall in love. But it is clear that when we are in a hot state, we can often get into a lot of trouble. For most of us, however, self-control issues arise because we underestimate the effect of arousal. This is something the behavioral economist George Loewenstein (1996) calls the ‘hot-cold empathy gap.’ When in a cold state, we do not appreciate how much our desires and our behavior reflects a certain naivete about the effects that context can have on choice. The concept of arousal is analogous to mood. At the risk of stating the obvious, our mood can play a definitive role in our decision making. We all know it, but how many among us truly use that insight to make better decisions? This is one reason we advocate decision journals when it comes to meaningful decisions (probably no need to log in your cashew calculations); a big part of tracking your decisions is your mood when you make them. A zillion contextual clues go into your state of arousal, but taking a quick pause to note which state you’re in as you make a decision can make a difference over time. Mood is also affected by chemicals. This one may be familiar to you coffee (or tea) addicts out there. Do you recall the last time you felt terrible or uncertain about a decision when you were tired, only to feel confident and spunky about the same topic after a cup of java? Or, how about alcohol? There’s a reason it’s called a “social lubricant” – our decision making changes when we’ve consumed enough of it. Lastly, the connection between sleep and mood goes deep. Need we say more? Peer pressure is another tricky nudge that can be both positive or negative. We can be nudged to make better decisions when we think that our peer group is doing the same. If we think our neighbors conserve more energy or recycle more, we start making a better effort to reduce our consumption and recycle. If we think the people around us are eating better and exercising more we tend to do the same. Information we get from peer groups can also help us make better decisions because of ‘collaborative filtering’; the choices of our peer groups help us filter out and narrow down our choices. If your friends who share similar views and tastes as you recommend book X, then you may like it as well. (Google, Amazon and Netflix are built on this principle). However, if we are all reading the same book because we constantly see people with it, but none of us actually like it, then we all lose. We run off the mountain with the other lemmings. Social influences come in two basic categories. The first involves information. If many people do something or think something, their actions and their thoughts convey information about what might be best for you to do or think. The second involves peer pressure. If you care about what other people think about you (perhaps in the mistaken belief that they are paying some attention to what you are doing), then you might go along with the crowd to avoid their wrath or curry their favor. An important problem here is ‘pluralistic ignorance’ – that is, ignorance, on the part of all or most, about what other people think. We may follow a practice or a tradition not because we like it, or even think it defensible, but merely because we think that most other people like it. Many social practices persist for this reason, and a small shock, or nudge, can dislodge them. How do we beat social influence? It’s very difficult, and not always desirable: If you are about to enter a building a lot of people are running away from, there’s a better than good chance you should too. But this useful instinct leads us awry. A simple algorithm, when you feel yourself acting out of social proof, is to ask yourself: Would I still do this if everyone else was not? For more, check out Nudge.